Stefani from the fabulous blog over at Caught Read Handed is here today!! Give us the history of you. Born in California. Moved to Mississippi when I was 9 because my dad’s job transferred us. Went to college 2.5 hours away and got a Bachelor’s in English. Studied abroad in Scotland twice during college. After I graduated, I moved to Scotland for 13 months to get a Master’s in Publishing Studies. While there, I worked at two book festivals, interned at several publishers, visited 3 other countries, had the time of my life. Moved back to Mississippi and now work as a Young Adult Librarian. And I blog, of course. When did you start blogging? Was this your first blog? I started blogging in March of 2014, a few months after I moved home from Scotland. It was my first blog. I was not in a good place and I needed something to focus on, put my passion into, and really work on. It was the best decision I could’ve made. I love my blog. I like puns and plays on words. So I started thinking of bookish ones. A few that I thought of were already taken and then I thought up Caught Read Handed. How long were you running your blog before you started getting many followers? Hmmmm. I suppose this depends on your definition of “many”. I got a decent amount of followers right away – friends and such, but I’d also been on Twitter for a long time before I started my blog and got some followers through that. After I started commented on other people’s blogs and really making connections, I got more. Walk me through the process that you went through to get your blog to where it is today. I had a generic theme from WordPress in the beginning, but after a month or two, I paid a friend of mine to come up with the design I have today. Not much has changed in regards to my blog’s design since then. My review writing style has changed as I’ve found my own voice through practice, practice, practice. Reading other people’s blogs is how I found Top Ten Tuesday and Waiting on Wednesday. A lot of the blog tours and such have happened because I’ve met people on Twitter who do them. 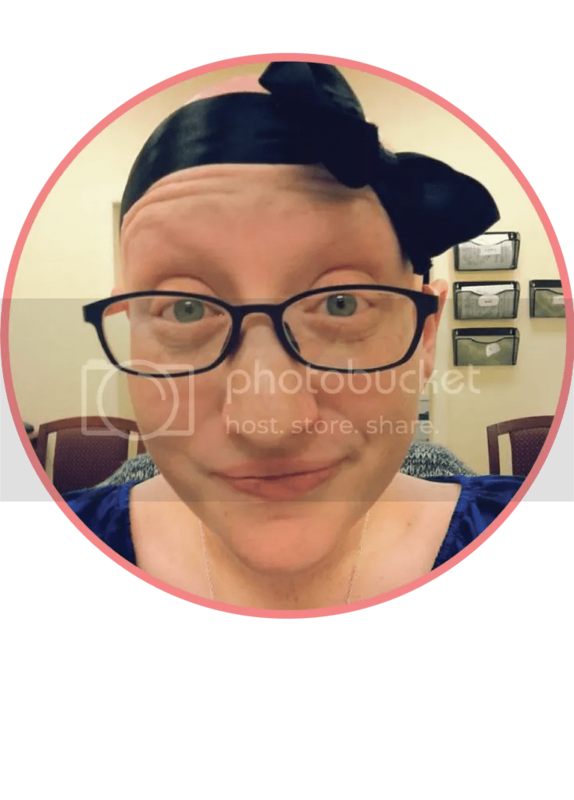 Being in this community is really how my blog got to where it is – I’ve adapted and come into my own through that. This really depends on how much time I have. I usually read at least 5. But it’s usually closer to 10 or more. Can be up to 15 or so if I actually have a lot of time. What book did you read most recently that you loved, and would recommend to everyone? 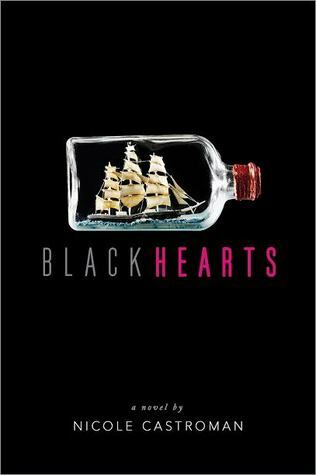 I just finished BLACKHEARTS by Nicole Castroman and absolutely loved it. I fell completely head over in heels for Teach, and I’d definitely recommend this one to everyone. Other recent loves: THE LOVE THAT SPLIT THE WORLD by Emily Henry, THE SERPENT KING by Jeff Zentner, reread of SIMON VS. THE HOMO SAPIENS AGENDA by Becky Albertalli. What are the top questions you get asked by your readers? Hmmmmm. Probably where do I get my ARCs: this is a combination ofNetgalley, Edelweiss, blogger friends, and a few indie bookstores that are kind enough to lend or give me some of the ARCs they receive. I’m also starting to get a few at the library by emailing publishers. I hardly ever actually email publishers as a blogger for ARCs. Also, how do I meet so many authors: this is really just because I drive a lot. Haha. I live in Mississippi, and not that many authors come here for tours or events. I have no problem driving 5.5 hours to Atlanta or New Orleans or Nashville if it’s an author I really want to meet. I go to book festivals and launches and signings. And I also have no problem just striking up a convo with an author on Twitter. That’s how I met Becky Albertalli, and now I’m happy to say she’s one of my IRL friends. If a new blogger came up to you today, and you only had a few minutes to talk, what would be your best blogging tip? BE YOU BE YOU BE YOU BE YOU. That’s really my best blogging tip. Don’t think you have to write reviews like other bloggers or that you even have to write reviews if you don’t want to. Just do you, and not only will you be a happier blogger, you’ll enjoy yourself far more. Have you ever liked the movie more than the book? Be honest! Yes, there have been a few, but I can’t for the life of me think of the titles right now! What about you guys? Have there been any movies you liked better than the book? Are there any popular books you know you would never read (i.e. 50 shades of grey, tell us which one)? I don’t like to say I will NEVER read anything because who knows how my tastes will change in the future? However, I highly doubt I’ll ever read Fifty Shades of Grey, The Song of Fire and Ice books, or any Ellen Hopkins’ books (she’s great, but I don’t like free verse writing). What are 5 items you never leave home without? Thank you so much for having me, Kaitlin! I’m always open to making new friends, so feel free to follow me on Twitter @StefaniSloma! I love to talk about books, Doctor Who, Harry Potter, books, Teen Wolf, honestly anything! And, of course, I’d love if you stopped by my blog sometime! Thanks so much for joining us Stefani!! PS: Anything you would like to know about Stefani?